Store and carry your classroom decoratives with the Deluxe Bulletin Board Storage Bag! 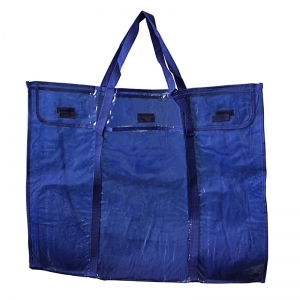 It measures 30"" x 24"" and features: bound edges for extra strength, sturdy handle for easy transportation, hook and loop tape closure, clear vinyl for quick reference, and flame retardant material and durable construction. The Border Storage Pocket Chart is the easiest way to make the most of your beautiful decorative borders. 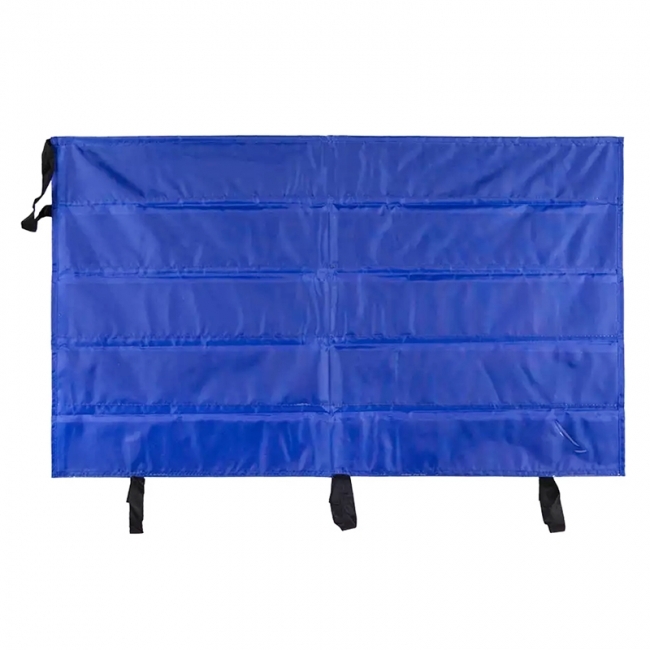 It measures approximately 41" x 24.5" and features: 5 clear plastic pockets which can each hold up to 24 border strips (37" x 4" each), ability to fold to 4.75" x 38", a hook-and-loop tape enclosure for security, flame retardant material and durable construction, and a durable handle for storage or carrying. 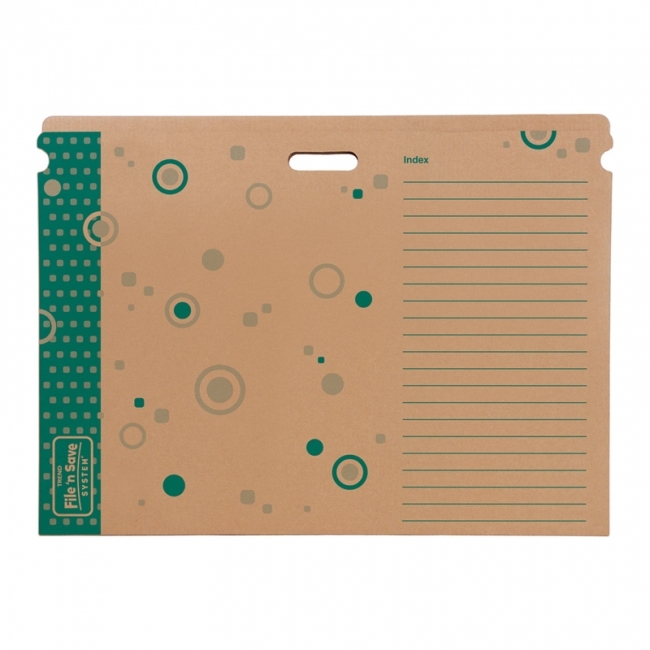 Ideal for storing larger materials like maps, charts and large calendars. Designed with hand holes for ease-of-handling. Does not include folders. Measures 6.5" x 30.75" x 23". 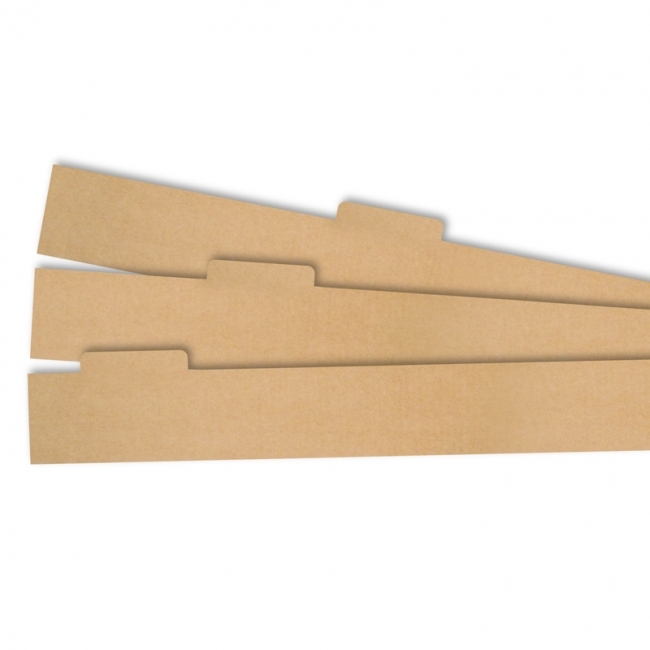 The File 'n Save Bulletin Board Set Storage Box is the best way to organize, store, and protect your bulletin board sets, classroom decor, and more for years of use. Design features reinforced handles and a handy side index. 27 3/4" x 19" x 7 1/4". Folders sold separately. The best way to organize, store, and protect Bulletin Board Sets, Two-Sided Decorations, artwork, and other display materials. Sturdy folder measures 27" x 18" x 1/2". 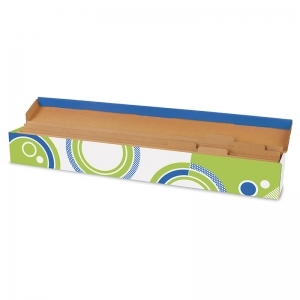 Fits in T-1020 Bulletin Board Storage Box (sold separately). The best way to organize, store, and protect charts, maps, and other large display materials throughout the year! 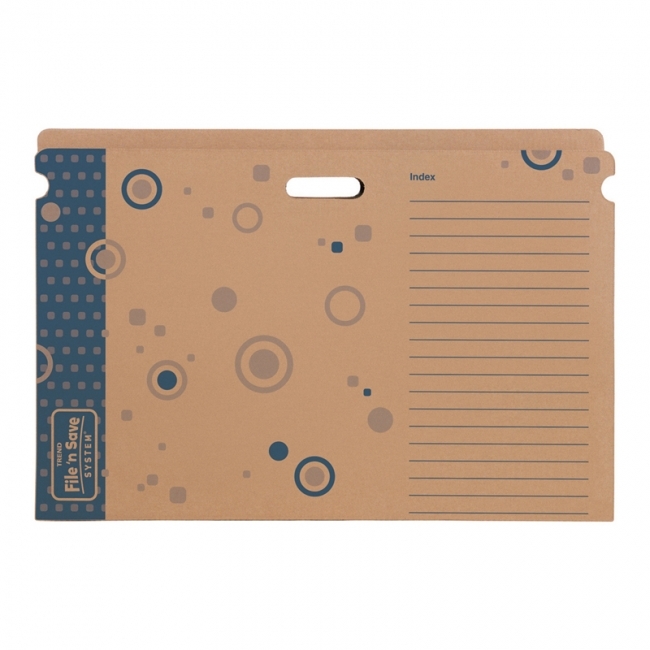 Folder measures 30 1/2" x 22 1/2" x 1/2". 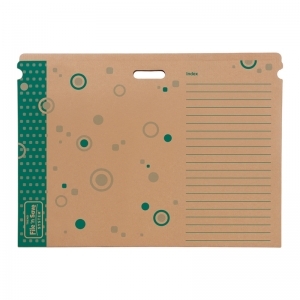 Fits in T-1022 Chart Storage Box (sold separately). 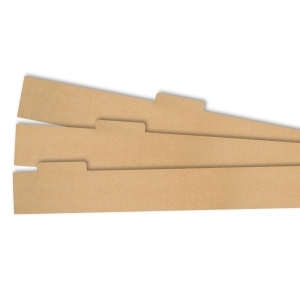 The File 'n Save Trimmer Storage Box is the best way to organize, store, and protect trimmers and other display materials throughout the year. Design features a handy side index. Dividers and folders sold separately. 39 1/2" x 5" x 5". 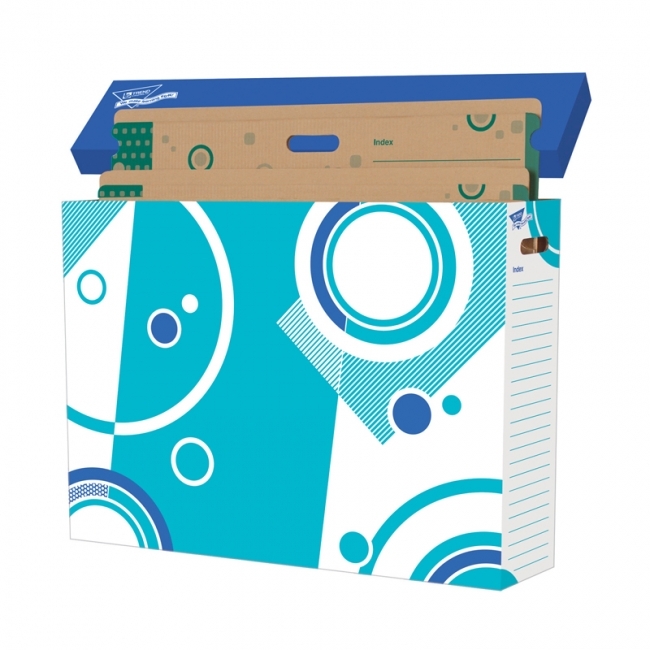 The File 'n Save File Folder Box is the best way to organize, store, and protect classroom projects, portfolios, stickers, Ready Letters®, and more. Design features reinforced handles and a handy side index. 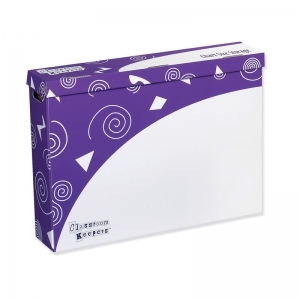 Extra-strength box also provides space for standing or hanging files and side tabs to hold files in place. 12 1/4" x 10 1/4" x 8". The File 'n Save Sentence Strip Storage Box is the best way to organize, store, and protect TREND Wipe-Off® Sentence Strips and other classroom decor for years of use. Design features a handy side index. 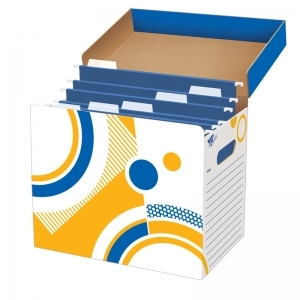 Includes four dividers to keep your strips organized. Generous labeling area on dividers. 26" x 3" x 3". Bright new look and new, lower prices! File 'n Save Trimmer Dividers are the best way to organize and protect Terrific Trimmers®, Bolder Borders®, and other classroom dÉcor. Fits new and improved Trimmer Storage Box (T-1024), sold separately. Generous labeling area on dividers; three per pack. 39" x 4 1/4". 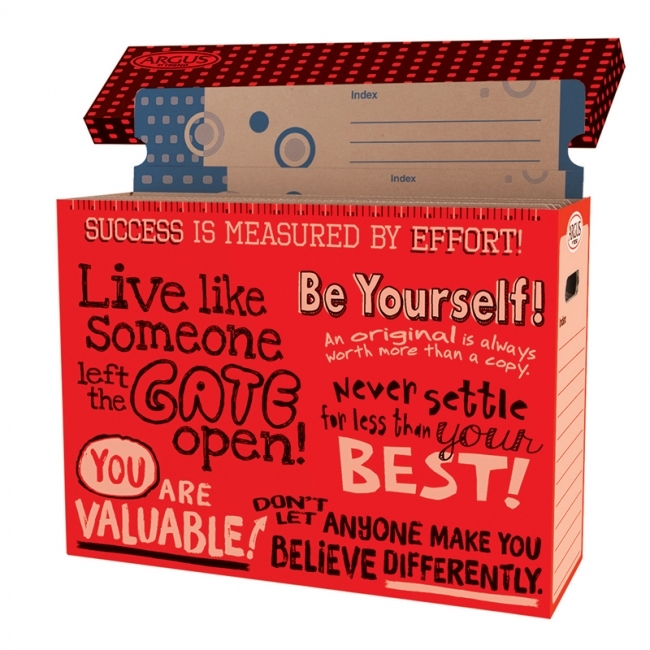 Sometimes, thinking out of the box requires lifting the lid. We lifted the lid to create a new storage line that reflects the ARGUS® brand. You can change the world with the right storage system. This is it! 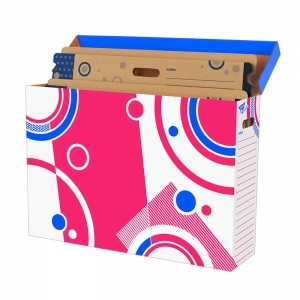 The File `n Save System® – ARGUS® Poster Storage Box is the best way to organize, store, and protect posters, classroom décor, student projects, and so much more. Design features reinforced handles and a useful side index. Durable and affordably priced. Measures 14.75" x 6.5" x 21". Folders sold separately.